If a satellite is destroyed in the middle of outer space and there is no one around to hear it, does it still make a sound? The opening text gives you everything you need to know to be terrified of outer space: Temperatures fluctuate between hot and cold, sound cannot travel through it, and life is impossible out there. As Dr. Ryan Stone (Sandra Bullock) and astronaut Matt Kowalski (George Clooney) get stranded in the cold, dark depths of space, audiences will quickly understand the gravity of the situation. The opening scene of “Gravity” is one completely uninterrupted shot, a trademark of Cuarón’s, lasting well over ten minutes. It is a mesmerizing sequence, as we are introduced to the only two characters over the beautiful and terrifying view of Earth seen from miles above. In 90 unforgettable minutes, “Gravity” gives us a tight, expertly crafted horror-film that will leave you as breathless as an astronaut who is running low on oxygen. Viewers looking to get the most immersive experience will want to see the film in IMAX 3D because seeing the far reaches of the galaxy in three-dimensions is an unbelievable sight. Whether portraying a sense of wonder, horror, or a chilling combination of both, the cinematography is some of the best this year. Not only do several shots linger for extended sequences of time, but the free-floating camerawork adds an extra level of intensity; as if the audience is floating just as helplessly as the characters on screen. Though the trailers made the destruction of the satellite look like a loud spectacle, the sequence is actually silent. In an attempt to be as realistic as possible, the explosions lack any sound. All you can hear is the effectively dissonant musical score and the hyperventilating of the characters. Bullock and Clooney carry the entire movie on their own, as only one or two other humans are ever shown or even referenced. Clooney is charming and slightly vain; a character he could play in his sleep. Bullock, on the other hand, is a much more sentimental character. Through appropriately quick bits of exposition, we learn her character’s motives, problems, and ambitions, which makes seeing her fight for survival more exciting. The suspense is the story in this movie, but Cuarón (who wrote the script along with his son, Jonás) did not ignore the most important aspect of a good thriller: compelling drama. With visceral photography, stunning 3D effects, masterful performances, and confident direction, “Gravity” may be the most heart-pounding trip to the movies you will have this fall. 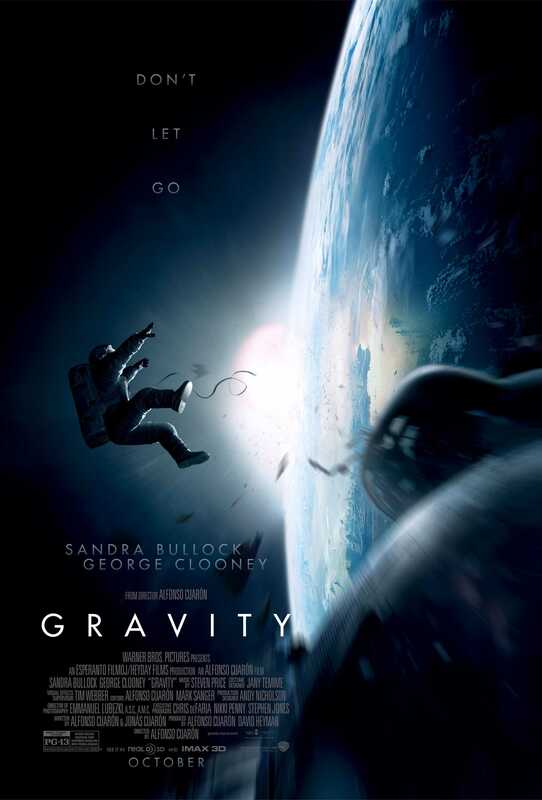 Claustrophobic, exciting, and extremely well acted; “Gravity” is a Hollywood gem reminiscent of classic horror-films set in space like “Alien.” After all, in space, no one can hear you scream. How did the Grinch steal Christmas?